Thinking about the bike ride got us thinking about bikes in general. Though Busan seems to be mostly a subway and bus city, there are these bikes scattered around in various places. 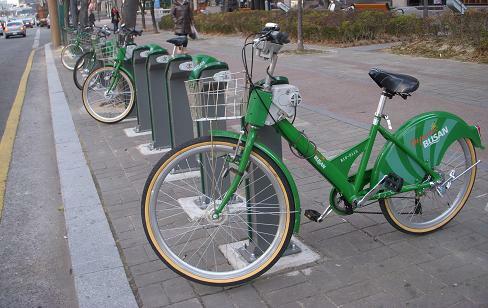 It seems that you can rent these "Busan" bikes for the day.